When boost is increased, the demands of the spark plugs is increased. One way to help ensure the best spark is to change the temperature range and conductive material. 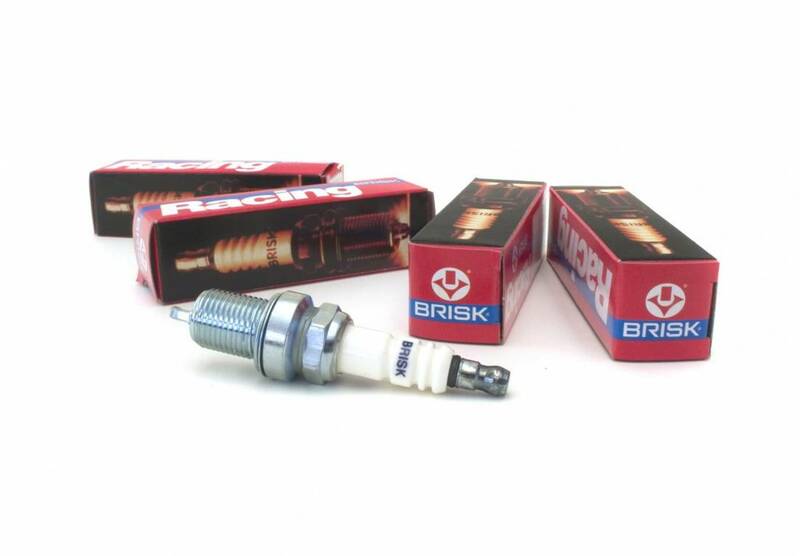 Brisk Premium spark plugs are an entirely new type of spark plug. Owning to their unique design, they produce more than one spark per impulse of the ignition system. Brisk specializes in Silver Electrode spark plugs. Silver is the best thermal conductor of all metals (better then Iridium and Platinum) allowing for a wide spark plug heat range and excellent heat dissipation under maximum power. High-performance spark plugs go hand in hand with high performance cars! Most people are familiar with the iridium or platinum electrode spark plugs, but industry leader Brisk specializes in something no one else offers, Silver Electrodes! Silver is the best thermal conductor!